The CytoRADx™ Assay is based upon the Cytokinesis Block Micronucleus (CBMN) assay, which is a proven and widely accepted approach to performing biodosimetry. We have further optimized and automated the CBMN assay to improve accuracy and expand the assessment range up to 10 Gy. The CytoRADx™ biomarkers have been shown to be stable up to a month post-exposure in multiple studies. 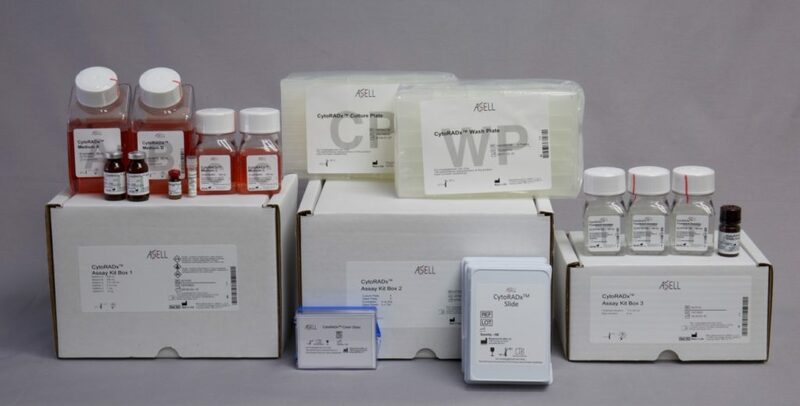 The CytoRADx™ Assay kits are low cost compared to many other biodosimetry approaches, and the system uses existing equipment and techniques commonly found in clinical labs.